You won't find a stronger umbrella even if you went through the entire internet! This monster of an umbrella can out muscle wind tunnels, so it will easily cope with whatever you can throw at it. 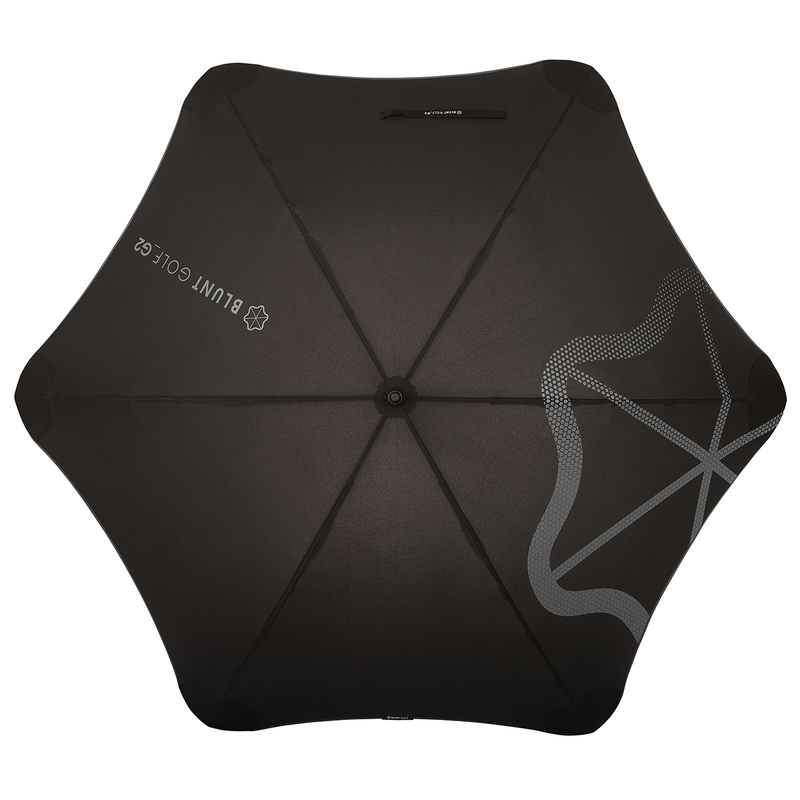 With its innovative design and extensive quality checks, it has been created to give incredible shelter from all weather. Providing UV protection and some well-deserved shade on the hotter days, or an unbeatable shield against the not so pleasant forces. Most brollies hate strong breezes never mind strong winds! As part of the design process, all Blunt models are independently wind tunnel tested to speeds that far exceed the standard of every day use. Due to most people not ever having to use an umbrella in a wind tunnel, real world testing is also employed to ensure a high quality performance no matter where you are. The only product to make you like the rain! While most umbrellas buckle Blunt will just keep going and going. 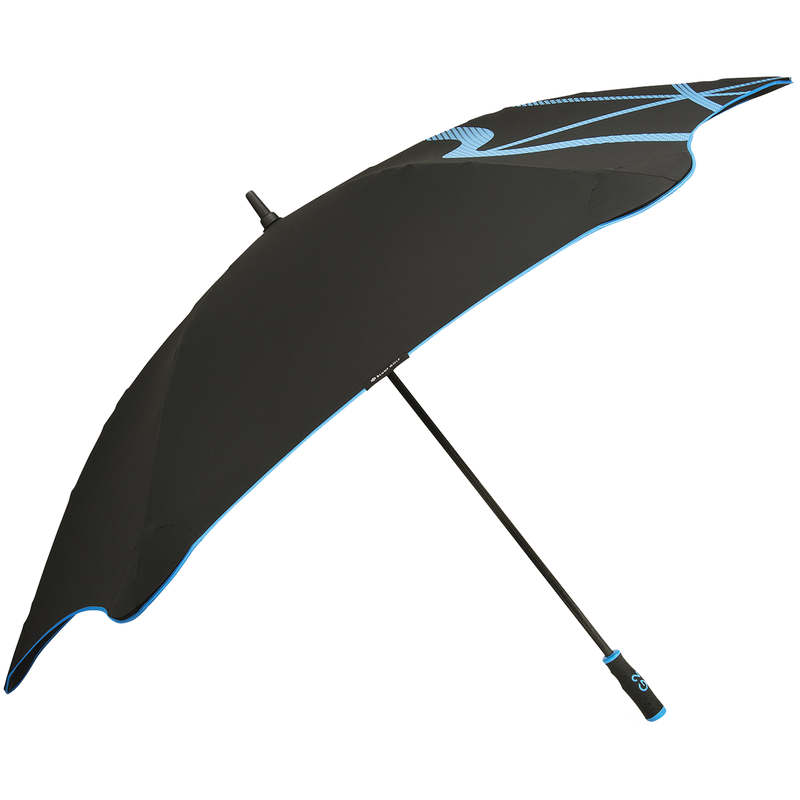 Once you have used one, you will see how umbrellas should act. 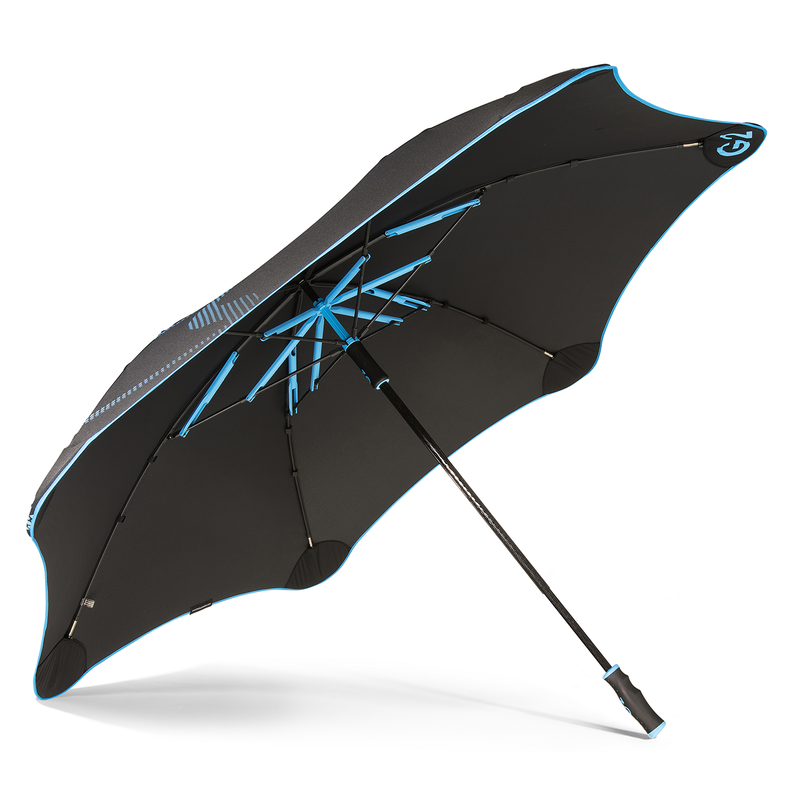 As well as staying dry, the material is UVR classified to provide UV-protection Come rain, hail or shine. they love weather and so will you. Every year countless umbrellas crumble in even the most amenable of windy conditions, cheap materials and design being the reason for this. Blunt hasn't settled for this outcome, every detail has been considered. 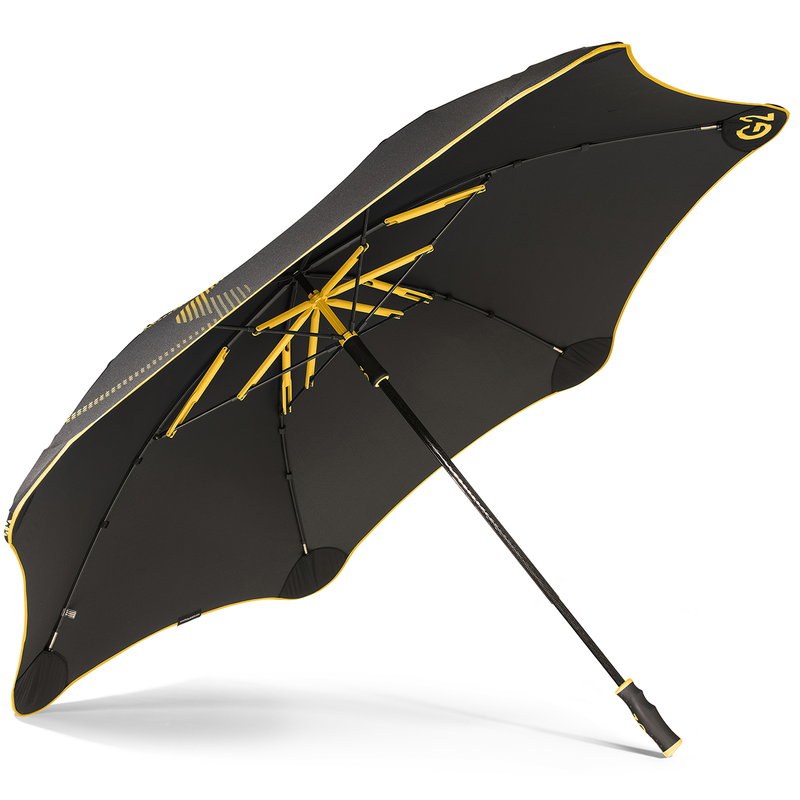 Designed with patented Blunt tips and telescopic ribs that count as an integral point of the unique radial tension system creating the worlds first fully tensioned umbrella.